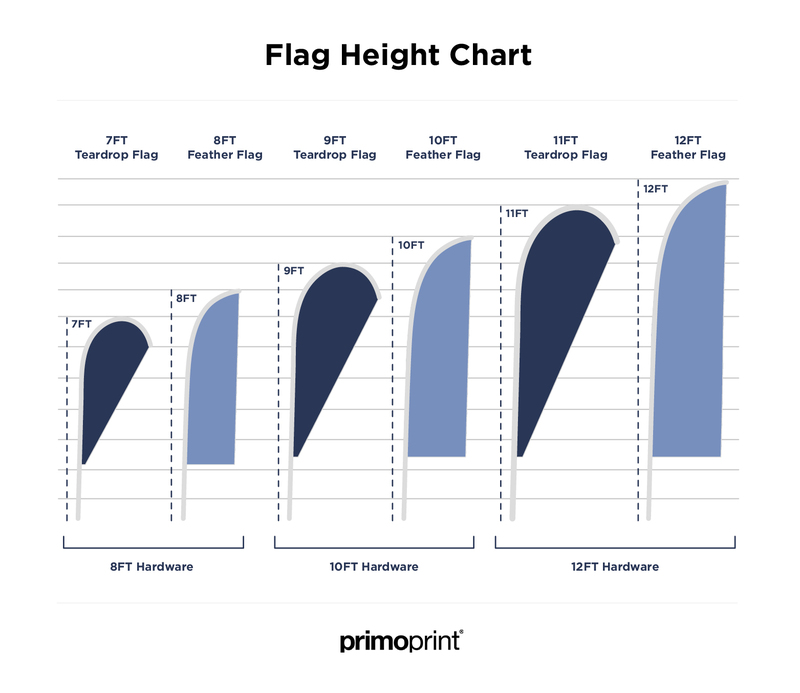 Helpful information and charts to explain dimensions and heights of our teardrop and feather pole flags. We offer teardrop and feather flags in heights from 7 feet to 12 feet tall. This dimension represents the final height once the flag has been placed on the stand.